Xbox has been all about the future in recent months. Since E3, the conversation on Gamesindustry.biz has been around subscription services and what we can expect from Ninja Theory, Compulsion Games and all the new studios the company has added to its roster. And the big reveals at E3 itself featured Gears of War, Halo, Cyberpunk 2077 - big games that are more than a year away from release. Now, as we head into that crucial year-end sales period, the focus switches to the here and now. At Gamescom last month, Xbox put the final touches on its Christmas sales plans. There was the typical reveal of new hardware bundles, plus PR around the big Xbox products that it plans to focus on in the weeks ahead - Forza Horizon 4, Game Pass and Sea of Thieves amongst them. Exclusive content is obviously crucial, and we'll come back to that, but Xbox is also going big with third-party titles this year. 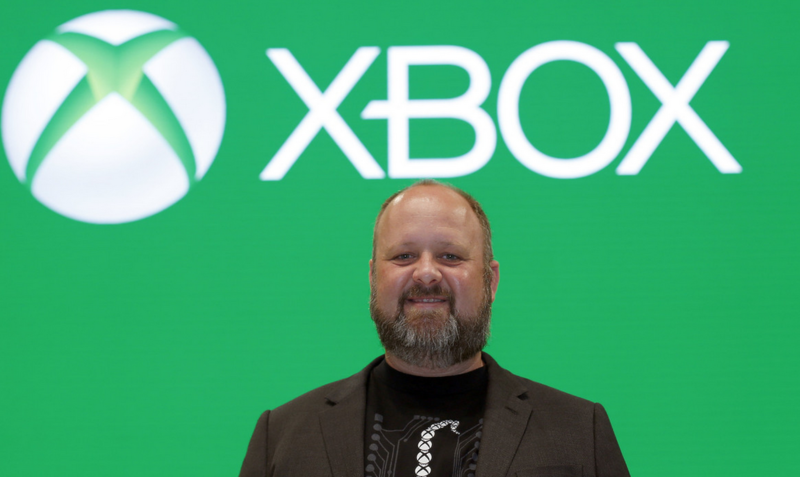 In fact, Xbox marketing boss Aaron Greenberg tells us it has "more third-party partnerships this year than we have ever had." "A lot of it is our partners, especially after we launched Xbox One X, are interested in making sure they are able to work with a platform that is going to be a showcase for their games," he says. "We start with the developers. They want to show their games where they look and play the best, and so having the performance advantage and being able to show their games in 4K, with great frame-rates, is great for those folks. And then on the business side there are mutual benefits; we can go to market together, we can do bundles, we can introduce people to their franchises and they can help us sell consoles." 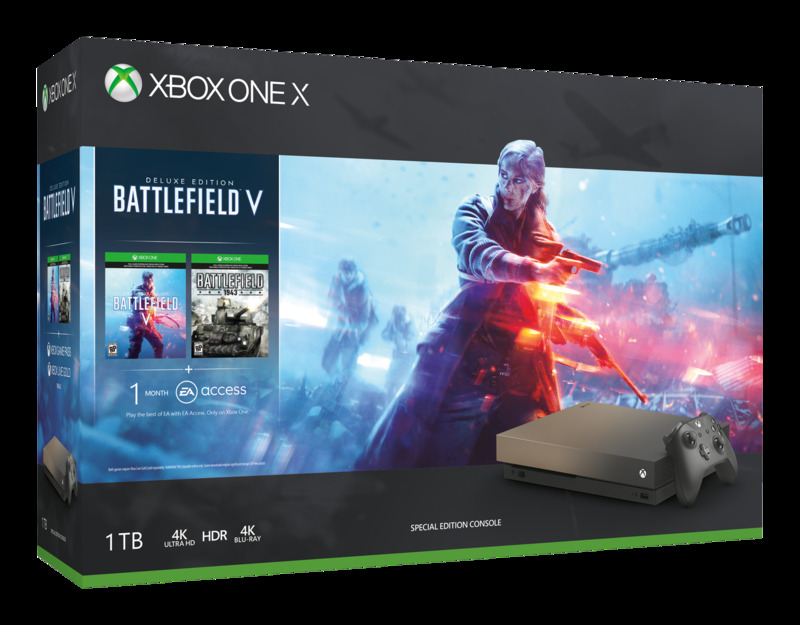 Those third-party deals with titles such as Battlefield and Tomb Raider will prove crucial in Microsoft delivering its message on how much more powerful Xbox One X is compared with its competitors (40 per cent more powerful, according to Microsoft). Yet it can only really do that with the games it partners with. PlayStation has its own third-party deals with big titles this Christmas, such as with Red Dead Redemption 2, so how does Xbox get its 'better with X' messaging out in relation to those? "We weren't quite sure how this was going to go first holiday [with X]," says Greenberg. "But what we've found from the independent media, from Digital Foundry to all the people who do the technical evaluations, is that every single game is looking and playing best on X, whether it's faster load times, better frame-rates, actually running in native 4K. "So specifically, if you talk about wanting to play Red Dead, or FIFA, or Call of Duty, or our games, whatever game you're a fan of, we can say that your game is going to look and play best on Xbox One X. For a lot of gamers that have invested in 4K TVs, and really want that premium experience, that matters a lot. And in many cases gamers will own multiple systems, but then it's a case of where do they want to go buy third-party titles? And we've definitely seen customers choosing our platform because of the power advantage." When it comes to major AAA launches, there's an abundance of big brands coming to market over Q4. In September, there's Shadow of the Tomb Raider, NBA 2K19 and FIFA 19. October boasts Call of Duty Black Ops IIII, Red Dead Redemption 2, Assassin's Creed Odyssey, LEGO DC Super Villains and Starlink. November is headlined by Battlefield V, Spyro Reignited Trilogy, Hitman 2 and Fallout 76, and Just Cause 4 closes the year in December (and we've left out all the Nintendo games). Perhaps it's no surprise Xbox is only releasing one exclusive this Q4 in the form of its annual racing series, Forza. "There is more than enough content this holiday. I can't think of a holiday that had more AAA games in such a tight time period"
"We're going to get it out early (October 2nd) and before the blast radius," Greenberg says. "Then we didn't need Crackdown or any of our titles in this holiday window. We're planning to launch that in February, and then after that we will launch Ori and the Will of the Wisps. We like to have a steady cadence of content throughout the year. But there is more than enough content this holiday. That's why we're working with so many third-party partners to showcase their games and help drive our platform during that window. I can't think of a holiday that had more AAA games in such a tight time period." Nevertheless, Forza Horizon 4 is no small title for Xbox. The last game in the Horizon sub-brand - released in 2016 - was a breakout hit and sold 2.5 million copies globally in less than six months. It far exceeded all expectations from analysts, retailers and even Microsoft itself. It's still selling well today. The question is whether this new game can hope to match or even beat it. "There are fans of the Forza franchise that we know are going to buy every release," Greenberg notes. "The question is, are the more mainstream gamers who maybe buy three games a year, are we going to make that list of three games? And you're right, Forza Horizon 3 greatly exceeded our expectations when it launched and every single month since. It's been incredible. "Horizon 3 was, in many ways, a great open-world game. The game and setting was very unique and, with the quality of the game, it stood out. The challenge for [developer] Playground was how do you build on that? Having the setting in beautiful Britain, which as we know is where Playground is based, being able to add in the elements of the four seasons and how that can change gameplay... that is going to take the franchise to a whole other level. "We intentionally built this service so that retailers can participate in the ecosystem." 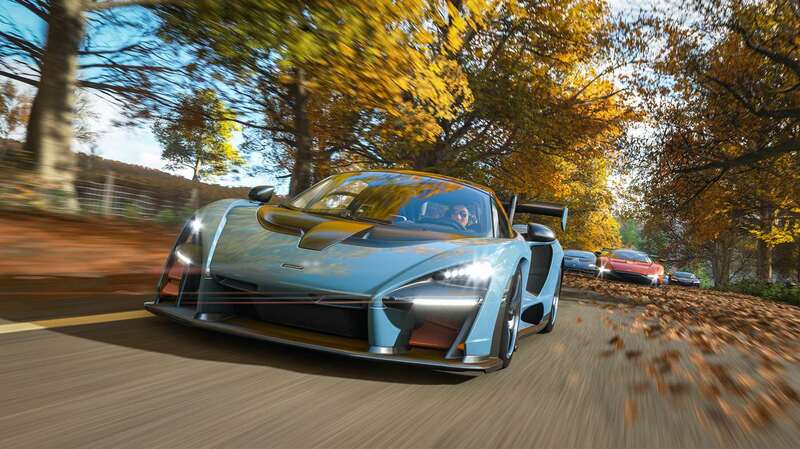 "So our expectation is that Forza Horizon 4 is going to be the biggest and best-selling Forza game that we've ever launched. Currently our pre-order tracking is well ahead of where we want, and tracking ahead of where we were with Forza Horizon 3. So the early indicators are really good. And that's before you get into the fact that this title will be in Game Pass, which will allow it to reach another set of gamers who may never have played or bought the game." It's not all about new games, either. Microsoft's big new IP of the year was Sea of Thieves in March, and its service-based pirate game will receive two major updates before the end of the year. 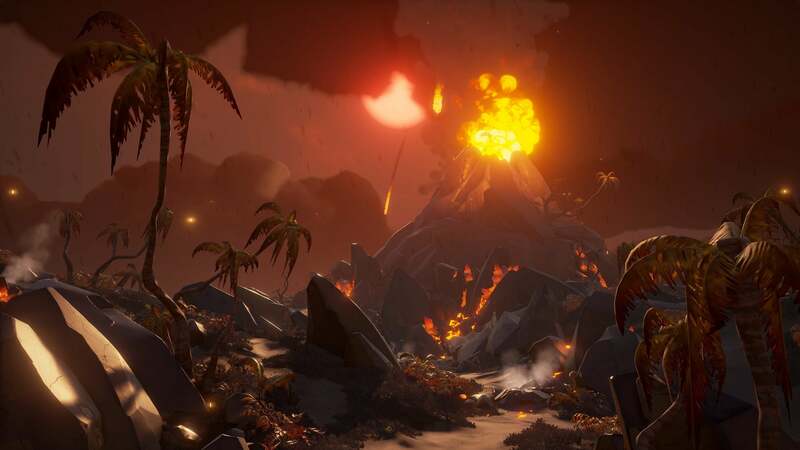 "Sea of Thieves is a big priority for us," says Greenberg. "Both Sea of Thieves and State of Decay 2 were, for us, breakout hits of the spring, They exceeded what we expected them to do. Sea of Thieves has over 5 million players, State of Decay 2 has more than 3 million players. They both sold more than we expected and drove a lot of great engagement with Game Pass. "For Sea of Thieves, [developer] Rare has dedicated teams that are building add-on content that's completely free. The entire community gets them. They've added new ships, gameplay, quests and things that is going to be great for engaged fans who want to keep playing, but every couple of months the game gets bigger, so it also enables us to go back to people who have never played and introduce them to it. That's modern marketing. People don't need to get a new game to get new content and innovation." The other component Microsoft wants to push over the holiday season is Game Pass. Greenberg believes the subscription offering is going to be particularly attractive to those getting an Xbox One for Christmas who want an immediate library of games, and that it's "the best holiday gift" as it removes the question over which title to buy the gamer in the family. The firm will be promoting Game Pass via both digital channels but also retail. 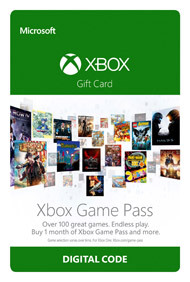 Yet considering how vital boxed game sales are to the health of the physical retail business, are stores really comfortable in pushing Game Pass? "It depends on the retailer," Greenberg admits. "For the most part, yes. A couple of things are happening at retail. One, it's by and large the place where most consoles are purchased. So when they're buying a console, it's a case of what do you get with it? In that sense, Game Pass is a great addition. For one low price, you already have a library of over 100 games, including a bunch of new releases, so that's great. In addition, if you want to get the latest new release that's fine, but this is a great value add and I think retailers see that. "Also, there are times of the year when there may not be a big AAA game. But retailers can go and sell Game Pass as an offering during those months. "But we'll see. Some retailers have reacted differently to it. We intentionally built this service so that retailers can participate in the ecosystem. If you think about other subscription models, like video streaming and music and things like that, retailers don't play a role. But we do value our partnerships with retail." He concludes: "It also really does drive trial of the game without any real cost. We are seeing people who sign up to Game Pass, who do the free trial, who then go and buy the game that they want to keep playing. We've seen that. "The network effect, especially for a social multiplayer game where you are driving that word-of-mouth as more people play it, has had great benefits. Sea of Thieves engagement in Game Pass has been higher than we expected, but also [non-Game Pass] sales have been higher than expected. Before it launched, we would never have expected... it feels weird to say all boats rose [laughs]. Sorry. But it did. The same happened with State of Decay as well. It's been an additive thing and more so than I think anybody expected."